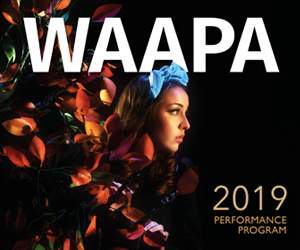 The forays by the WAAPA Performance Making course’s graduating class to the Blue Room Theatre for the double-head “Tilt” programme have become an annual highlight. That’s in part for their own sake – eight short pieces over two seasons with the freedom, expressiveness and self-indulgence (not always a bad thing) that, maybe, will never come again, will always reveal some delights. It’s also a window into the future; what these young theatre-makers are interested in, and how they deliver it to audiences, will more than likely be the matter and method of the independent stage in time to come. There’s a very direct pay-off from that – along with a trap for young players. Some of the best (or, more correctly, more substantial) “Tilt” bits have quickly gone on to become fully-fledged productions at the Blue Room, albeit with mixed results. The problem, the challenge anyway, is converting a 25-30 minute piece into the hour-or-so that alternative theatres, fringe festivals and the like trade in. Sometimes these short shows are exposed as skits when a longer format calls for more character development and a more sustained narrative. Sometimes they leap that tall building with a single bound. Last year’s showstopper, The View From the Penthouse, is a case in point. It’s slotted to return, with a longer running time and a shorter title – just Penthouse – at the end of next month in the Blue Room. From what I saw last year, I’d advise you to crawl over broken glass to see it – but that trap is baited and waiting. So, to this year’s Tilts. 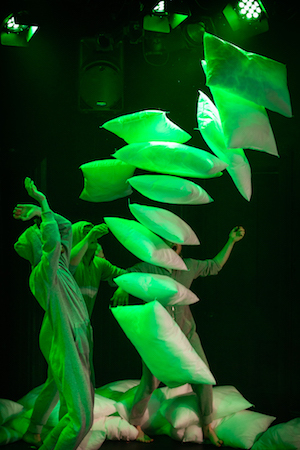 Courtney Henri and Jordan Valenti’s play-within-a-play about street performers, a flying whale and surface tension, Fluke, was deftly managed and sweet, without quite nailing its allegory or compelling our attention. Evelyn Snook, in her Work in Progress, certainly does. A small, sad portrait of a girl battling depression and inertia (“Sometimes it’s okay if the only thing you do today is breathe”), it’s beautifully written and winningly performed. The evening’s closer, and its most striking performance, was Girl & Thing, a kinetic, sometimes frightening dance piece devised and performed by the busy Courtney Henri and Marshall Stay, who also delivered an impressive video and sound design (with Ash Lazenby). Henri is an extraordinary sight, diminutive, a shock of hair and a frenzy of movement, sometimes defying your senses to keep up with her. I’m tempted to wonder whether Henri and Stay always knew what they were saying in Girl & Thing, but if the language they used to say it was sometimes incomprehensible, the effect was certainly mesmerising. I’m cheating. The best was first, not last, but I’ve saved it anyway. 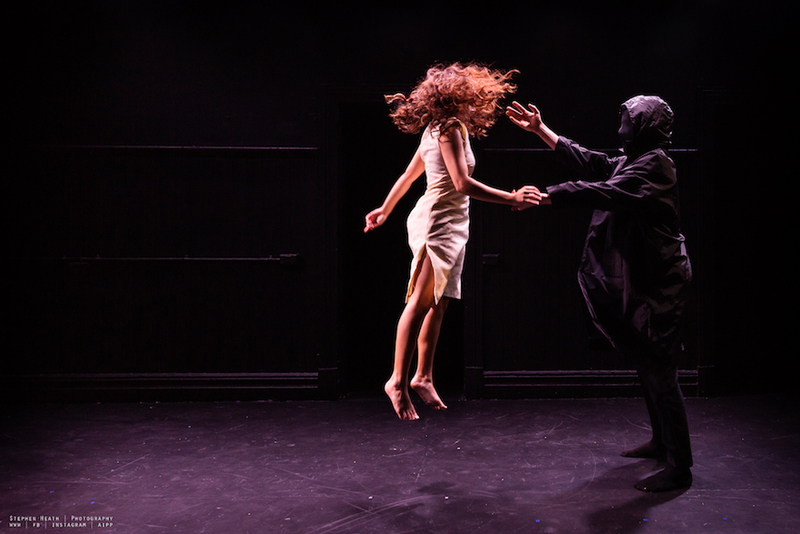 Cookies and Cream (or, as its writer Zachary Sheridan and director Amelia Burke would have it, “however the diddly is done”) is everything you could want in forty minutes of alt-theatre. Smart, screamingly funny, did-she-really-SAY-that-ish, snappy, crackly and poppy, it’s the antidote to whatever ails you. And, among the terrific cast of Sheridan, Christopher Moro and Tamara Creasey, a star is born in Elise Wilson – anyone who loves the work of The Last Great Hunt’s fabulous Arielle Gray is gong to really love this gal. Cookies and Cream will be back. You can bet on it. The second programme (which ends this Saturday 8 September) may not have a firecracker like Cookies and Cream, but it’s textually more substantial than the first. The opener, The Painfully True Story of the Show we Couldn’t Make, devised and performed by Noemie Huttner-Koros, Karina White and Snook is a backstage procedural about, as the title suggests, the difficulty – and even the validity – of nice, young, white folk making theatre about people without their privileges. It’s a good and worthy idea, blunted by an overabundance of long, meaningful looks and some lengthy, problematic recorded segments that had plenty of verbatim but not enough theatre. Dad is Isaac Powell, Jarryd Prain and Stay’s emotional paean to those strange creatures that fathered us. It’s, perhaps, a little repetitive, but it sneaks up on you, building bit by bit to a touching, insightful kind of father-son catharsis – and a pillow fight. It’s performed with energy and commitment and should both extend and tighten up nicely if it goes around again some time. The pillows are inspired. Clare Testoni has made quite a splash over recent times with her combination of shadow puppetry and fairy tale-telling, and it’s a lode that Chloe-Jean Vincent, co-creator Madeleine McKeown and co-writer Valenti mine effectively in Where the Woodsman Cannot Find You. Working with the fairytales The Big Bad Wolf, Little Red Riding Hood and Jack and the Beanstalk, Vincent and fellow performers Henri and Stay deliver a multi-media take on the stories, and the head of the girl imagining them, that is tightly-drawn, funny and sometimes genuinely scary. Who knew the story of Ada – Augusta Ada King, Countess of Lovelace – the only legitimate child of Lord Byron and, some claim, the writer of the first computer programme? Wikipedia, naturally, the writer and director Huttner-Koros, clearly, and now all of us who saw her smartly staged and delightfully composed little bioplay about this extraordinary (Queen) Victorian woman. Played with corseted good grace by McKeown, well supported by Snook, Burke, Creasey and White, Ada is another Tilt that could easily re-emerge as a fully realised-piece in a Spiegeltent near you sometime soon. Although Programe One’s season has finished, you can catch the “TILT” Programme Two at the Blue Room Theatre, 5-8 September. Pictured top: The terrific cast of ‘Cookies and Cream’, L-R, Zachary Sheridan, Tamara Creasey, Christopher Moro and Elise Wilson. Photo: Stephen Heath Photography. This review appears on “From the Turnstiles” and is published on Seesaw with the kind permission of David Zampatti. 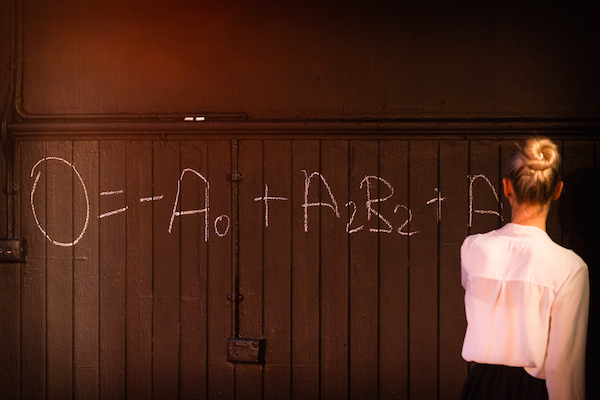 ‘Ada’ is another Tilt that could easily re-emerge as a fully realised-piece in a Spiegeltent near you sometime soon. Photo: Stephen Heath Photography.